The Warren County Marketing Taskforce moves forward. Following its first meeting Aug. 23, subcommittees met to discuss various action plans for promoting Warren County. The first meeting “had full participation by the taskforce and enjoyed the company of six citizens — including Commissioner Ben Kafferlin,” according to a press release from Commissioner Jeff Eggleston, taskforce chair. The taskforce’s mission is to create a report by February of 2018 detailing a series of recommendations to the county that will generate immediate improvements in the way the county markets and promotes itself to tourists, businesses, and potential residents of the community. 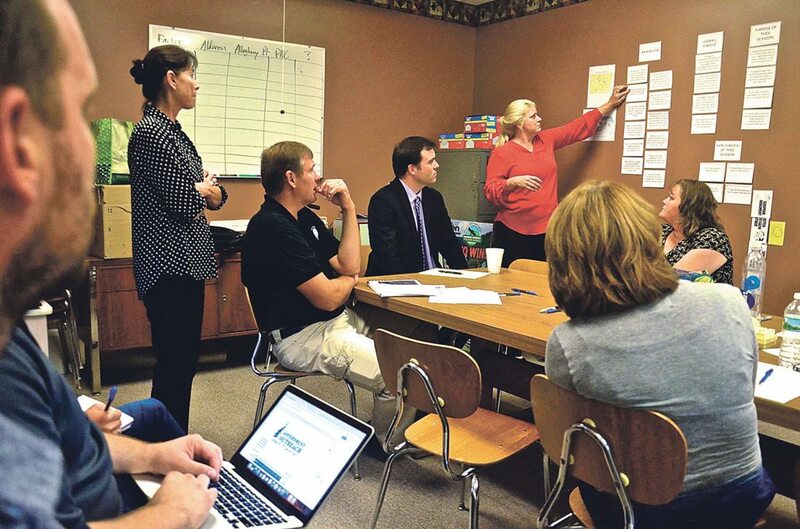 Compression Planning, “a visual, storyboard-based planning strategy that is very dynamic, fun, and productive,” according to a quote from Eggleston in an August 23 Times Observer article, was used to facilitate the group’s work at the first meeting. “Compression Planning is a tool that captures and merges great ideas into even better strategies as well as creates concise action and communication plans; all while building strong consensus and energy around the project crafted,” said Certified McNellis Compression Planner and taskforce member Chuck Gray. Gray added that McNellis Compression Planning has been used by the Department of Defense, Kennywood Park, and multiple business and community organizations to achieve results. The two-hour brainstorming session ended up with a vote for projects and a narrowing of the group’s focus to include five overall project categories. ¯Centralized Internet Properties and Promotion, a “catchall category which included items related to a single tourism promotion resource for the county, the creation of a “community calendar,” the development of an internet marketing budget or resources, researching and developing data on Google Maps and other geo-data sites, collecting and promoting historical information, and finding personnel resources to manage data collection and promotion,” said Eggleston. The subcommittee will be headed by Chuck Gray. ¯Regional Assets Promotion, which will focus on promoting assets like the mountain biking trails at Jakes Rocks, trails at Kinzua Point, and connecting the community with the Allegheny National Forest. This subcommittee will be headed by Jim Decker, Executive Director of the Warren County Chamber of Business and Industry. ¯Warren County Playground, which will develop a strategy to “nurture a youthful “playground vision” for Warren where adults and families can come and play and enjoy life,” Eggleston explained. Events would be the main tool of this group, with a focus on music, art, outdoor activities, food and brew, and seasonal festivals. This subcommittee will be led by Eggleston himself, he said. ¯Nest Egg Transplantation and Healthy Living will develop a promotional strategy to solicit the transplant of active seniors and those seeking a healthy lifestyle into Warren. Exploring the notion of Warren County as an active retirement community with a focus on healthy living will be the goal of this subcommittee led by Sherry Tune, Allegheny National Forest Supervisor with the U.S. Forest Service. ¯ Shape the Narrative will work to make community members aware of the variety of amenities available in Warren County and reframe negative views of the county and its assets by developing ways to share positive messages and ideas regarding the county and restructure the dialogue about the community within the community itself. Education of the business community to present as positive an image in our frontline services for tourists and prospective transplants is the main goal of this subcommittee, also led by Sherry Tune, said Eggleston. Members of the Marketing Taskforce as well as anyone recruited by taskforce members to help on various subcommittees will be the people working on each goal, said Eggleston, with subcommittees meeting independently between public sessions in order to further define direction and produce information and recommendations to share with the Taskforce proper at its public meetings. “As the meeting was closing there was a generally positive view of the ideas and projects proposed,” said Eggleston. “The taskforce members commented on how they were excited to move forward with their groups,” he added. Those groups met throughout the week of Monday, August 28, to develop their plans and strategies. “I am incredibly proud of the group and the overall discussion” of the first compression planning meeting, said Eggleston. 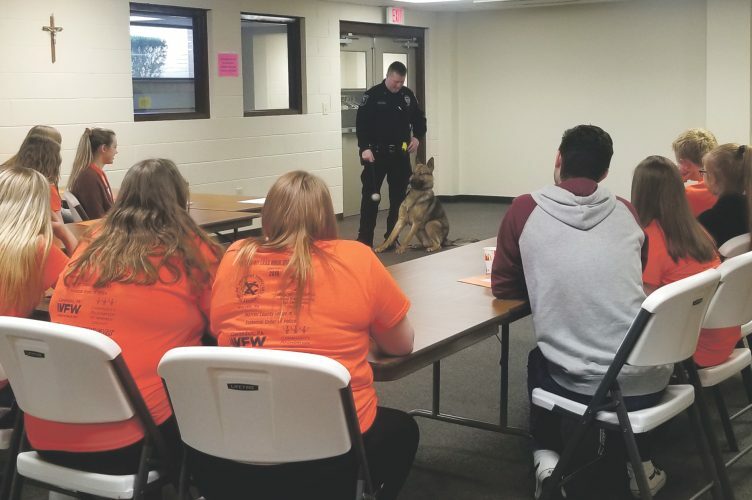 “Although some topics and ideas were somewhat routine for Warren County, others were completely new or took traditional topics and gave them a new spin. My current level of optimism for this group’s ability to produce positive results is incredibly high,” he continued. The Warren County Marketing Taskforce’s next public meeting will be held at the Warren County Chamber of Business and Industry’s office on Market Street on Wednesday, Sept. 20 starting at 7 p.m. to discuss the next steps in the process. Eggleston encouraged members of the public to attend.